Capture amazing pictures of Boston’s must-see attractions on this popular 2-hour walking tour of Boston. We begin with two historic sites on the Freedom Trail followed by Beacon Hill, a 19th-century English-inspired neighborhood, the nation’s first Public Garden, and Back Bay, an exclusive area renowned for its iconic, architectural landmarks in Copley Square and grand Victorian brownstones along charming streets. The Highlights of Boston photo tour is informative, fun and a great value. All ages and skill levels are welcome – whether you’re bringing your digital SLR or prefer your smartphone. Advance reservations required. PhotoWalks founder Saba Alhadi, a professional local photographer and tour guide, will lead you on a photographic journey and provide creative photography tips and tricks that result in amazing images. 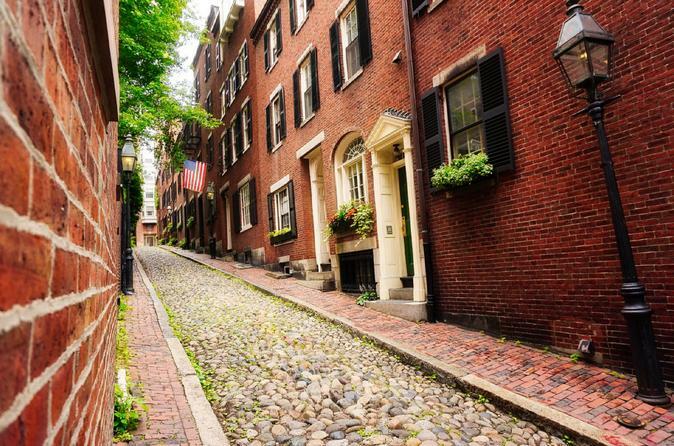 Along the way, enjoy listening to compelling historical commentary as you discover Boston’s attractions.